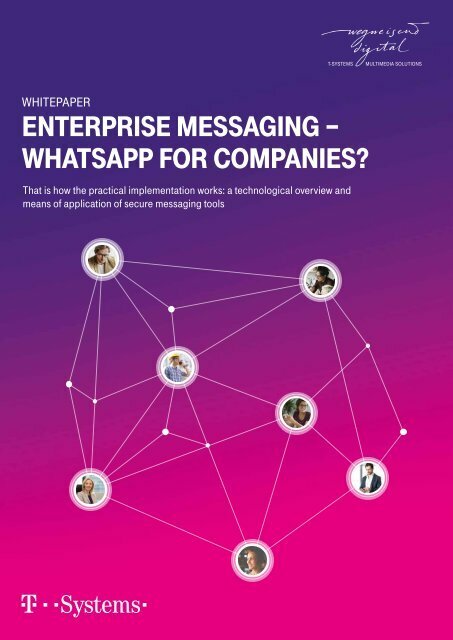 6 4 reasons for Enterprise Messaging within the company 4 reasons for Enterprise Messaging within the company 7 4 rEasons for EntErprisE MEssaging Within thE CoMpany Much like how we privately use messaging apps for quick and direct communication, Enterprise Messaging apps boast similar functions that improve communication within the team. However, they are considerably safer than consumer apps and can sustainably increase corporate productivity via the integration into existing IT systems as well as sensible expansions with third-party applications. inCrEasing produCtivity Companies and work teams are often plagued by tedious e-mail traffic during coordination processes. This is not only time-intensive but also inefficient, because decision-making is increasingly being slowed down by long CC lists. Enterprise Messaging solutions facilitate more efficient and much faster workflows via a comprehensible presentation of communication in topic-specific channels or groups. All project-relevant employees and content are included in the corresponding channels, and the visible series of messages allows for a transparent workflow. Searching for certain e-mails is unnecessary. Compiling e-mails, and thus filling out the subject line and adhering to certain netiquette in e-mails, is also far more time-consuming. Messaging apps, on the other hand, facilitate precise and direct communication that can be flexibly conducted regardless of location and device, and at any time. This leads to a reduction in e-mail volume and thus to saved employee time. The newly freed resources can be used in other ways, allowing employees to work more productively. inCrEasing produCtivity Whether internally in a team, with partners or customers: Enterprise Messaging helps accelerate company processes and procedures. The simple drafting of messages, push notifications, or read confirmations lead to shorter answering periods, which can in turn contribute to faster decision-making and shorter processing times. The integration opportunities of the messaging tools in existing company IT and file sharing systems (CRM, ERP, etc.) are also helpful, as well as the expansion of the apps by third-party applications such as Trello, Jira, Facebook, or Outlook. Files can not only be shared and discussed more quickly, but various tools that the team uses in project management, for instance, can be centralised.  Furthermore, small automated computer programmes - so-called bots - can take on routine tasks, like deadline coordination in the team. The result is a transparent and effective overview of all important work processes, and coordination processes can be greatly simplified. Motivating EMployEEs adhEring to CoMplianCE Enterprise Messaging not only increases efficiency, but it also chiefly protects companies against conflicts pertaining to data protection. It is safer than communicating via e-mail, as the risk of spam and malware is minimised, and the company also retains complete control over the channel through which the messages are transmitted. This is not the case with applications such as WhatsApp (see info-box). What happens when an employee leaves the company and still possesses sensitive information about the company in their WhatsApp work group? What if the smartphone and/or sensitive information lands in the wrong hands? Companies‘ stringent data protection and security regulations can be preserved with Enterprise Messaging apps. The demands employees face in an age of the digital workplace are always growing. Constant availability is required, as well as working on the go and flexibly. Employees require the right equipment for this. With Enterprise Messaging apps, companies can equip their employees with a tool that most of them know from their personal lives and which they are happy to work with. This boosts employee motivation because of the playful interface of the messaging app. Furthermore, these solutions also improve the work-life balance of the employees. Using WhatsApp in one‘s personal and professional life leads to overlapping. This not only entails potential distraction at the workplace, but also additional stress impulses when the employee receives messages from colleagues over the weekend or in the evening. With professional messaging solutions, users can explicitly differentiate between private and professional contexts.